Nintendo is launching its new Wii Sports Resort game alongside the new, much-improved Wii MotionPlus controller add-on in June in Japan and July in the UK and US. 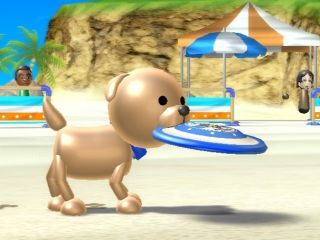 Wii Sports Resort is the follow up to the hugely popular Wii Sports and is sure to sell by the bucket (and sand!) load when it releases this summer. Wii MotionPlus, as TechRadar can attest from our recent playtests, is a much improved motion-control technology allowing for the feeling of true 1:1 motion control, something that many Nintendo fans felt let down by with the original Wii Remote. It has not been confirmed if Wii Sports Resort will replace the original Wii Sports as a Wii console pack-in title. Pricing, game/dongle bundle deals and exact UK release are also still to be confirmed. Nintendo president, Satoru Iwata made the announcement this week at at address at The Foreign Correspondents' Club of Japan. We will of course bring you further new of the exact release dates and pricing for Wii Sports Resort and Wii MotionPlus as and when we get them from Nintendo UK. For now, check out our recent interview with EA Sports' producers on the publishers' first two titles out this summer that are MotionPlus-enabled – Grand Slam Tennis and Tiger Woods PGA Tour 10.